Welcome to Fredlyn Nut Company! At Fredlyn, we pride ourselves in bringing our customers the highest quality bulk nuts at bulk rate prices. Whether you are shopping for a gift or want the best nuts for yourself - our unique flavors and superior manufacturing processes make Fredlyn Nut Co. stand out among the competition. We are certified facility Kosher. As a specialty roaster and processor of bulk nuts online, we bring you a delightful selection of premium nuts and related products. We are literally nuts about nuts. Yes, we do snack on them all day long. We even supply companies all across Houston with nutritious, quality products for their employee snackrooms. We offer bulk rate pricing on the best nuts and candies around, including the wedding classic Jordan Almonds, in five colors. 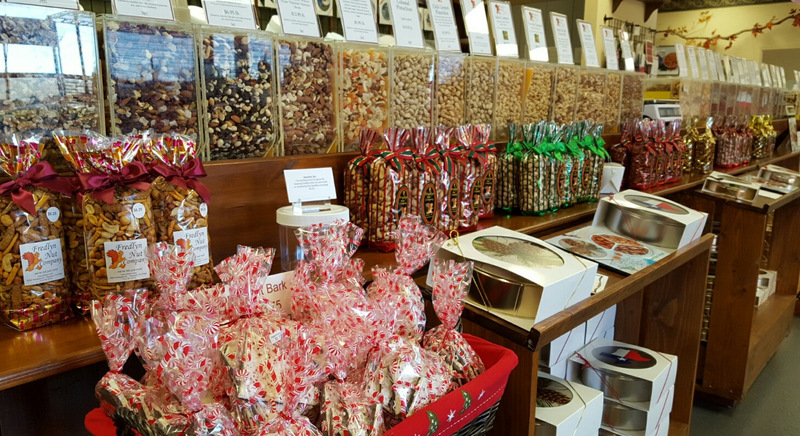 Come visit us or browse our line of raw, roasted, candied, chocolate-dipped, and spiced nuts! We also custom-pack gift tins to order, in addition to our gift tin online selection. Since we first started providing bulk nuts in 1969 when we opened our first nut house in Houston, we have dedicated ourselves to creating the best nuts, one delicious nut at a time. We have a high personal attention to quality and all of our roasting, mixing and packaging - so we are in 100% control of quality. We guarantee our products 100% through their expiration date, so if you're not happy for any reason, we'll issue a replacement or a refund. Fredlyn supports the American Festival for the Arts, which enriches, educates, and promotes young musicians in schools all around Houston. We also support the Houston Chronicle's Readers are Leaders program encouraging literacy, in addition to in-kind donations to events sponsored by our foodservice customers. Store Hours: 8:30 to 5:00 Monday through Friday, 10:00 to 3:00 Saturdays, closed Sundays and Major Holidays. Holiday Hours - Month of December: 8:30 - 5:00 Monday through Saturday, closed on Sundays. Come visit our nuttery in Houston! Our packing crews are the best! 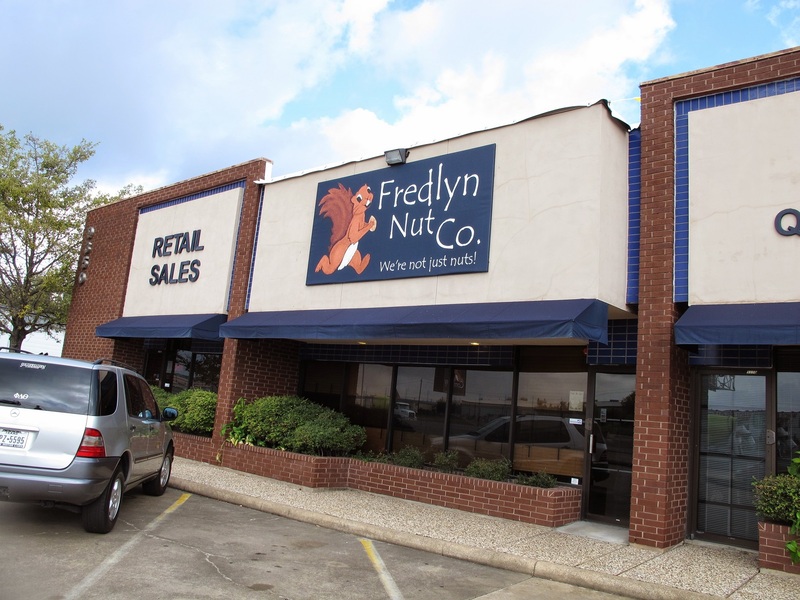 Our story began in 1969 when Fred and Evelyn ("Fredlyn") Ioerger opened their first Nut Hut stores in Houston. After growing to five stores, they decided to begin doing their own roasting, and the Fredlyn Nut Company was created. We have just one central location now, and are family owned and operated. We ship to all fifty states as well as to many restaurants, hotels, bakeries and confectionery companies in the Houston area. We believe in doing things simply and with personal attention to quality. 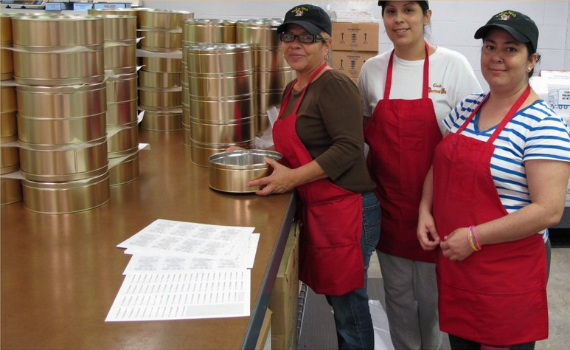 We do all our roasting, mixing, and packaging in house, and ship our products directly from our facility. You simply can't get any fresher than that. We also wholesale our bulk products for resale, to restaurants, hotels, bakeries, repackers, health food stores and many more. Just send us your company information and sales tax ID to sales@fredlyn.com or fax 713-781-9543 and we will contact you. If you live in Houston, stop by our store and roasting facility on Westpark, between Fondren and Gessner. Look for the blue sign with the squirrel.